Last week we were truly touched to see the thoughtfulness and kindness of a lady named Ivy from Acornhoek. 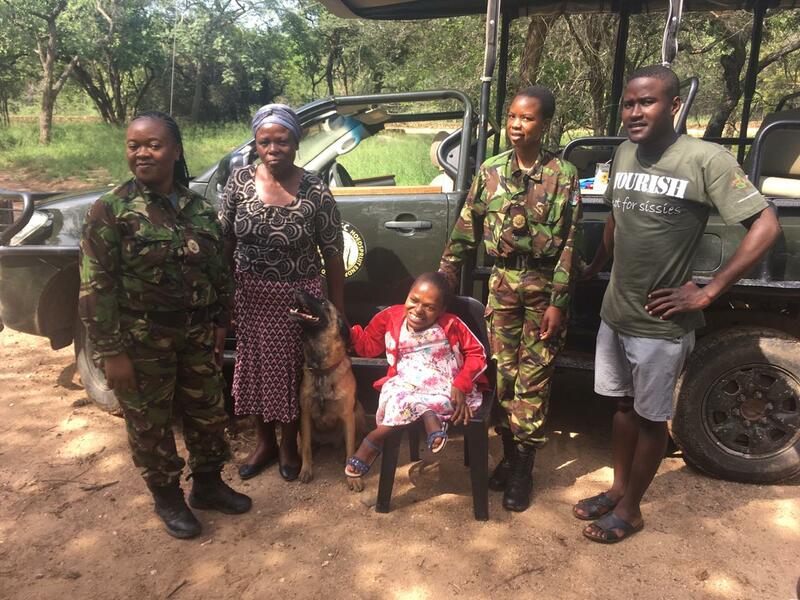 We noticed an Instagram post by Transfrontier Africa which showed Ivy, who is disabled, handing over handsewn material re-usable sanitary pads to the Black Mambas. 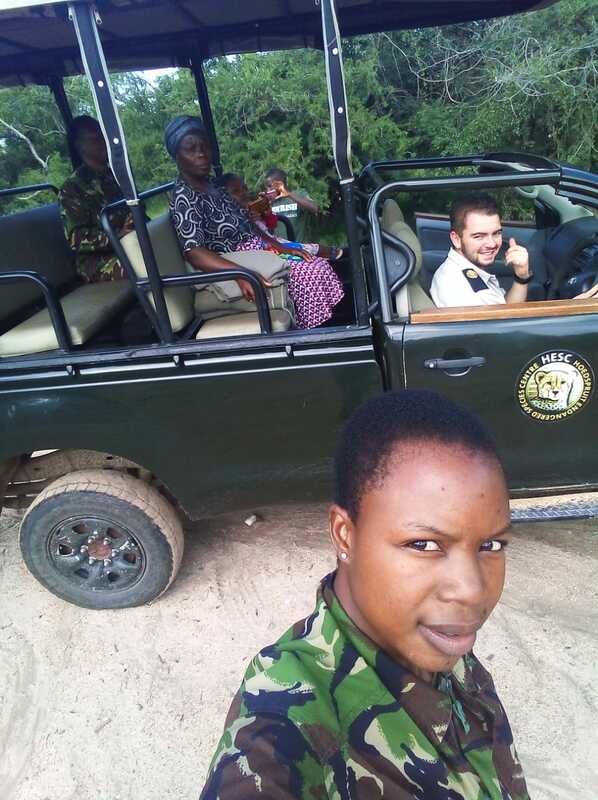 The idea is to have a form of sanitary protection on hand for the BlackMambas for unforeseen circumstances when they are out in the bush protecting our wildlife and unable to get access to a grocery store. 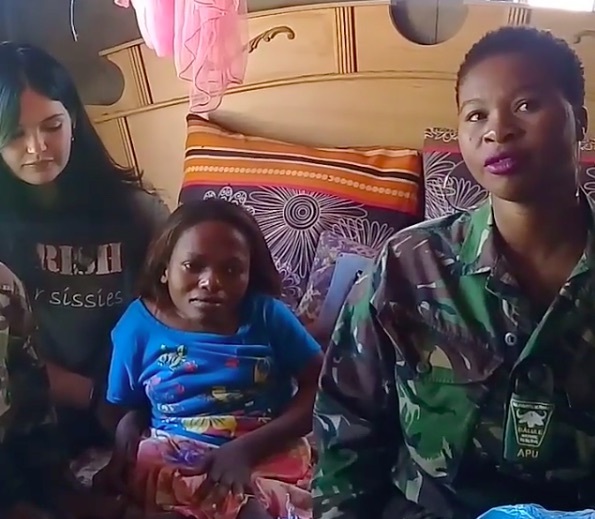 But the beauty of the community did not stop there; we learned that Nourish NPO was responsible for empowering Ivy with the skills and tools to sew. 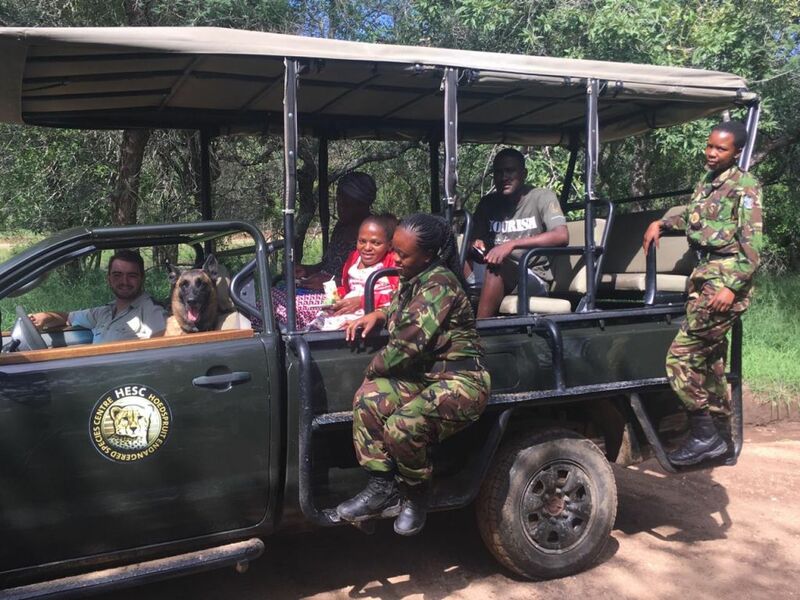 Their vision is to fight poaching through fighting poverty and growing resilient communities. 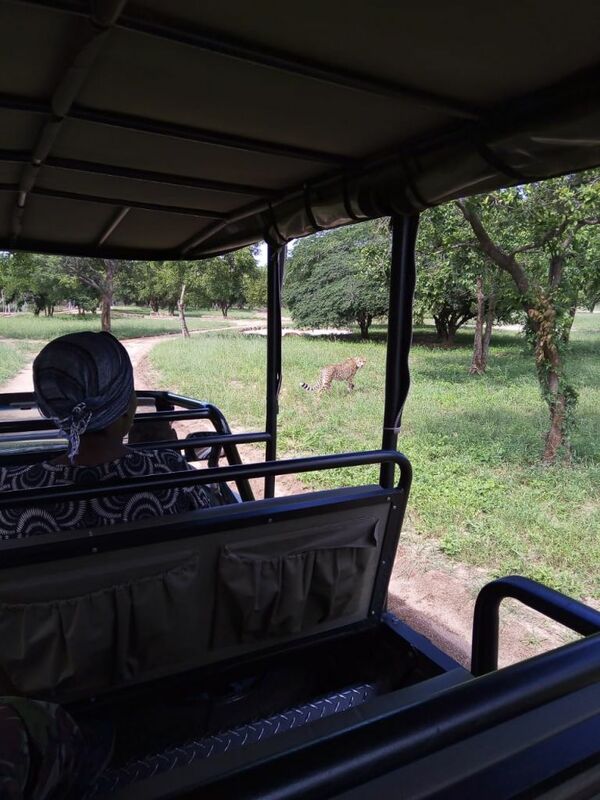 They had set out to look for someone in the village with basic sewing skills, to work with and create an income for. 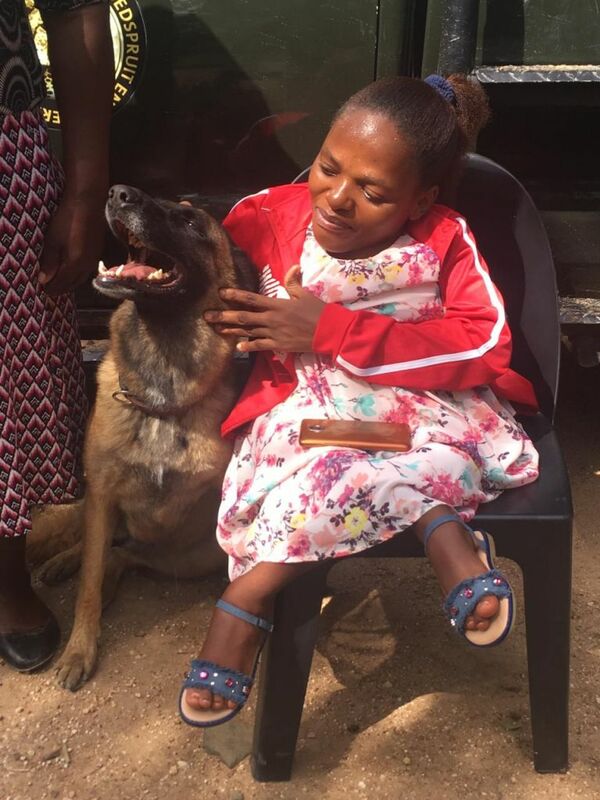 They got Ivy a sewing machine and taught her to sew, and at the same time registered her son for creche to help. They have been working with Ivy for almost two years now and have made a significant impact on her life. It was Nourish’s vision and idea to sew the sanitary pads for the Black Mambas and teens of the community. The funding for the sanitary pads came from one of their partner NGO’s called Filius e.V from Germany. The pads were made for the Black Mambas as well as some of the local teens in the community to help them stay at school all through the month. 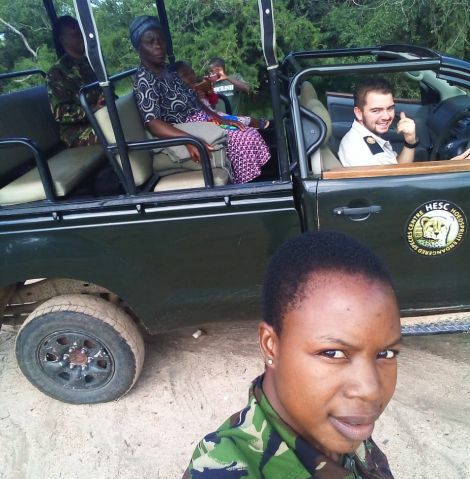 We are fortunate to have three Black Mambas on our Anti-poaching Unit team, and appreciate how hard they work, and how much gestures like this mean to them. 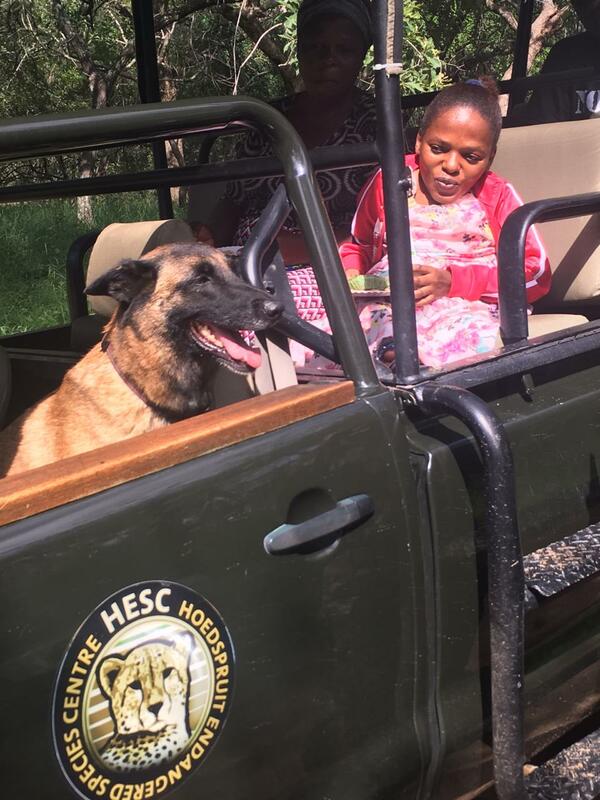 So we extended an invitation to Ivy, her carer and one of the team members of Nourish, Willington Mafogo, one of their “Green Kidz” to a morning at HESC, to meet the Black mambas, and see them in action with our K9 unit. 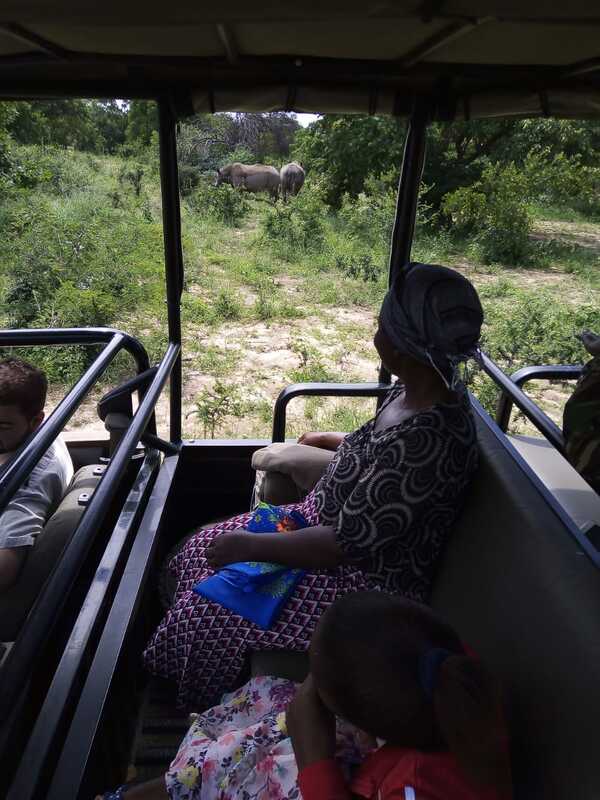 We also gave them a private tour around HESC to learn about the conservation projects that we are involved with, as well as see the rhinos that the Black Mambas help us so hard to protect. This was followed by a lunch from our Deli. 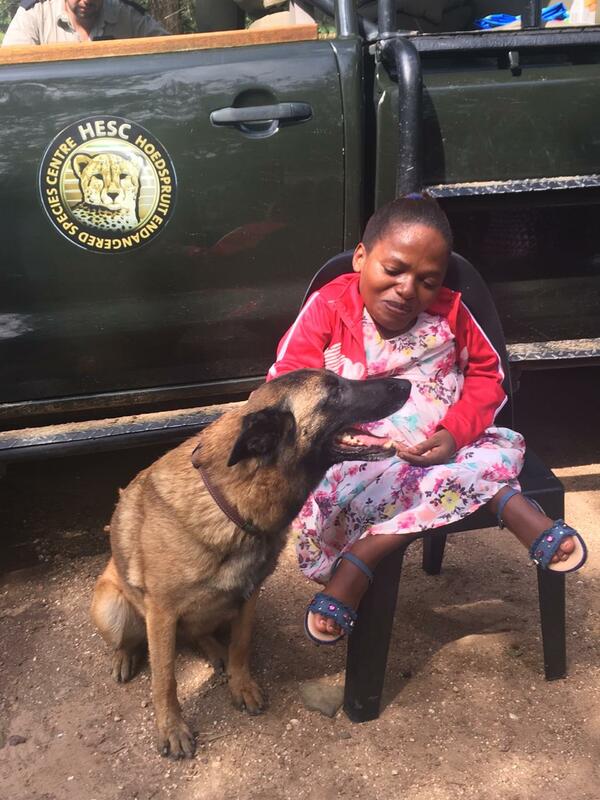 Ivy got to spend some time with Zee, one of our anti-poaching K9’s who is so great with people. He and Ivy got along so well! It was a small way for us to pay it forward and say thank you to both Ivy and Nourish for their kind gesture, and for making a difference in other peoples lives. We hope it was a day that Ivy would not soon forget. Thank you to Sarah from Nourish for arranging the transfers to HESC, and for Corlet from our APU team for organising the morning.